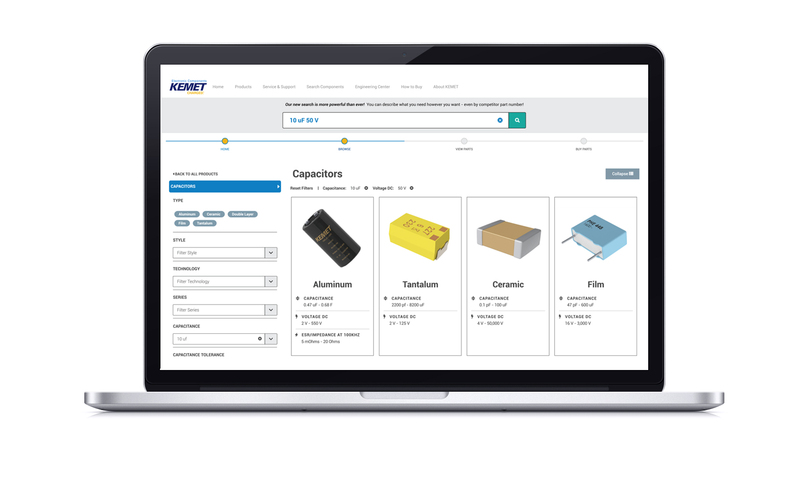 KEMET's new component search engine, ComponentEdge, makes it Easy-to-Design-In with over 6.4 million parts. 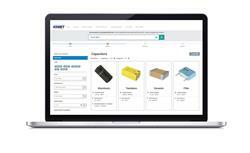 MUNICH, GERMANY--(Marketwired - November 07, 2016) - KEMET Corporation (NYSE: KEM), a leading global supplier of electronic components, introduced today its advanced passive components search engine. ComponentEdge offers a new component search experience. Users can search over 6.4 million part numbers with descriptive text or through interactive filtering. Search results are displayed in an intuitive interface built using the latest in mobile responsive web design. In addition, ComponentEdge can cross reference from 145 different manufacturers as well as offer live distributor pricing and availability. "ComponentEdge is a complete reinvention of our existing search capabilities, continuing KEMET's industry leadership in components search," said Per Loof, KEMET Chief Executive Officer. "This next-generation search technology offers our customers everything they need to make a design or purchase decision in just a few clicks or taps." In addition to supporting KEMET's part numbers, ComponentEdge can cross reference from 145 different component manufacturers. If exact matches are not available, ComponentEdge displays the differences between components and gives the user the option to change filter criteria. Once part numbers are found, each result provides real-time distributor pricing, availability, links to 3D CAD models, RoHS information and part number specific datasheets. "Users can begin a search with general ideas of what they need, and ComponentEdge narrows down results, providing all the key information related to components in one location," said Tim Herring, KEMET Senior Vice President and Chief Digital Officer. "No other search engine in the electronics industry offers as much capability as ComponentEdge -- the most extensive parts database available today." ComponentEdge works on all major desktop web browsers and mobile devices. For more information, please visit search.kemet.com. KEMET Corporation is a leading global manufacturer of electronic components that meet the highest standards for quality, delivery and service. The company offers its customers the broadest selection of capacitor technologies in the industry across all dielectrics, along with an expanding range of electromechanical devices, electromagnetic compatibility solutions and supercapacitors. KEMET's corporate headquarters are in South Carolina; the company also operates manufacturing facilities, sales and distribution centers around the world. KEMET's common stock is listed on the NYSE under the symbol "KEM." Additional information about KEMET can be found at www.kemet.com.